The cameras throughout the Town centre record activity 24 hours a day, 7 days a week. In addition, the control room can be contacted by the Police to ask that cameras are directed toward areas of suspicious activity. The benefits became obvious when in October 2012 the Daventry Express reported that CCTV had spotted 64 crimes in 6 weeks. Following the decision by the District Council to withdraw funding for the provision of CCTV as of 1st April 2012, members of the Town Council worked together with the Police, Crime Safety Reduction Partnership and the District Council to find a sustainable and cost effective solution. 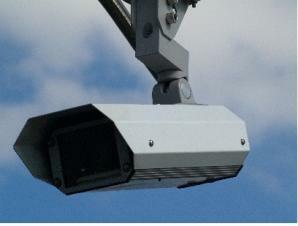 The CCTV system is owned by the Town Council with the maintenance and monitoring outsourced to a local supplier. Northamptonshire Police will be providing additional funding of £10,000 per annum over the next three years and will be working in partnership with the Town Council to ensure the CCTV system provides information that will assist in crime detection and prevention. The Town Council plans to use the existing technology more effectively and work with the supplier to develop the service whilst reducing costs.